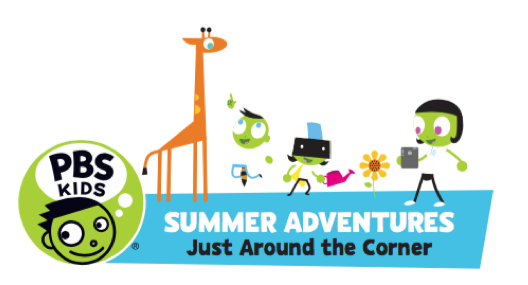 As kids spend time outside the classroom this summer, PBS KIDS will release all-new content and resources to help keep them active and encourage exploration at home and outdoors with their favorite characters. As part of its annual summer learning initiative, PBS KIDS will air all-new specials and episodes from ODD SQUAD, NATURE CAT and READY JET GO! beginning in June, and will offer free digital resources at pbsparents.org/summer to make learning fun all summer long. More than half of the achievement gap between lower- and higher-income youth can be credited to unequal access to summer learning opportunities*. To help address this, PBS KIDS has partnered with Alamo Drafthouse Cinemas, I Can Read! books published by HarperCollins Children’s Books, the Association of Children’s Museums and Reading Is Fundamental. Through these partnerships, nearly 100 local PBS member stations will be hosting summer learning-related events to offer educational resources to families and children in underserved communities. PBS member stations across the country will be bringing PBS KIDS content to life in local communities to engage children ages 2-8 and their families in learning and fun. Local member stations will be partnering with organizations in their communities, including local libraries, schools, museums, social service agencies and more, to host hundreds of events, reaching hundreds of thousands of children and families with educational experiences, tools and resources. Parents can follow PBS KIDS on Twitter and Facebook for more information on free summer learning resources and special offers from PBS KIDS and its partners. ODD SQUAD, New Episodes: PBS KIDS summer learning programming kicks off in June with a one-hour ODD SQUAD special on June 20, followed by all-new episodes airing throughout the week. New episodes will also premiere throughout the summer. NATURE CAT, New Episodes: Join Nature Cat and his pals Daisy, Squeeks and Hal for a week of all-new outdoor adventures, airing on PBS KIDS from July 11-15. READY JET GO!, New Episodes: This August, follow Jet and his friends as they blast off on new adventures in the all-new episodes of READY JET GO!, airing from August 15-19 on PBS KIDS. Designed for kids ages 3-8, READY JET GO! teaches young viewers about astronomy, technology, scientific exploration, innovation and invention. The series features live-action interstitials with NASA’s Jet Propulsion Laboratory astrophysicist Dr. Amy Mainzer. I Can Read! books published by HarperCollins Children’s Books: Through participating retailers and PBS member stations, PBS KIDS and HarperCollins are offering free reading party kits to help families host “I Can Readathon” at-home events. The kits include an I Can Read! activity booklet, reading logs, activity pages, stickers, certificates, a PBS KIDS Super Summer activity chart and activity sheets. Materials can also be found at icanread.com/icanreadathon. Games and Activities: Extended learning ideas, child development tracking and recommended games and activities for parents and caregivers are available for free at pbskids.org/learn. Educational Apps: PBS KIDS offers a variety of free apps for parents and kids that support summer learning and exploration, including the new PBS KIDS Games app. Information is available at pbskids.org/apps. Free PBS KIDS Videos: PBS KIDS programming and content is available for free on the PBS KIDS Video App, which can be downloaded from iTunes, Google Play and Amazon. PBS KIDS, the number one educational media brand for kids, offers all children the opportunity to explore new ideas and new worlds through television, digital platforms and community-based programs. Kidscreen- and Webby Award-winning pbskids.orgprovides engaging interactive content, including digital games and streaming video. PBS KIDS also offers mobile apps to help support young children’s learning. The PBS KIDS Video App is available on a variety of mobile devices and on platforms such as Roku, Apple TV, Amazon Fire TV, Android TV, Xbox One and Chromecast. For more information on specific PBS KIDS content supporting literacy, science, math and more, visit pbs.org/pressroom, or follow PBS KIDS on Twitter and Facebook.